Organic and green clothing is something that many consumers may not think of when they are thinking of consumer products or making a green lifestyle change. In fact, green and eco-friendly clothing is still somewhat of a new concept for many individuals. The three basics for green clothing can be found in the natural or organic products and fibers that creates the clothing itself. The following are the three top green living and ecologically friendly organic fibers that can be found in green clothing and have promoted several green clothing consumer companies. Hemp is one of the most popular natural or organic fibers used in green ecologically friendly clothing. There are several reasons that companies have chosen to use a hemp-based clothing design. One of the reasons that hemp is used is because it is an ecologically friendly option in production. For example, 1 acre of hemp can produce as much as 2 to 3 acres of cotton. This makes a large impact on production both financially and ecologically. A second reason that hemp is used is due in part to its durability. Hemp is considered to be one of the most durable fibers in the environmentally friendly sector. A third, but not final reason, that hemp is used in clothing is due to its comparison to its synthetic fiber options or hybrid options of synthetic and natural fibers. Recycled denim clothing is becoming increasingly popular clothing option for individuals looking for an eco-friendly but durable fabric. Denim is a very durable fabric that can last for several years and when recycled can utilize a sustainable option in the clothing industry. Recycled denim can be found in clothing stores, but can also be used for private clothing manufacturers or for those individuals who have side seamstress businesses. For example, a pair of jeans can be recycled into a purse, diaper bag or other form of clothing option. The usefulness of ongoing recycled denim products has offered great ecological developments for green living and for those individuals interested in natural and green clothing. Organic cotton remains as the top fabric choice and clothing option choice for many individuals. The reason for this is due to several factors. The first factor being its durability. Cotton is a fabric option that has little chance of causing allergic reactions and can remain durable over several hundred uses. Cotton also offers a very affordable option for clothing and is easily cleaned. Organic cotton offers the option to increase productivity in areas, fair trade and offers a full array of options that relate to green living and the importance of green living on a global scale. There are several other clothing fabric options that are seeing a rise in the organic and natural fiber realm of clothing. 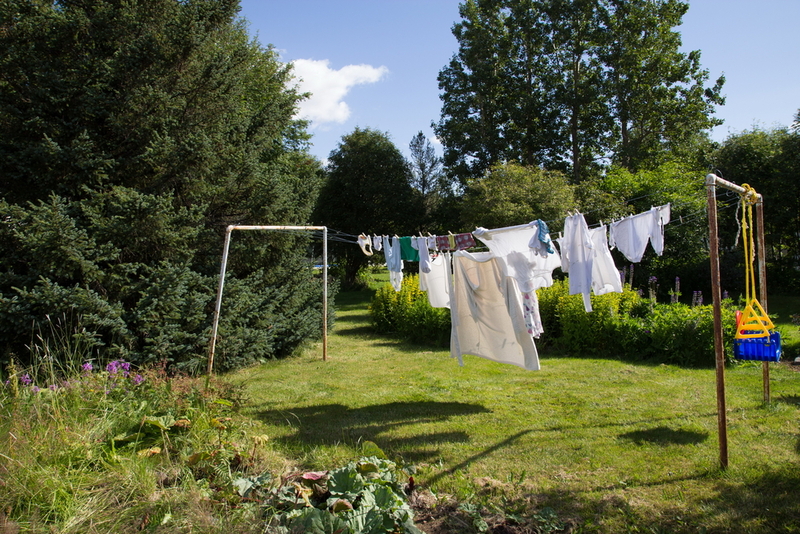 The most popular of the ones listed here, however there are hybrid options of cotton and hemp, recycled denim and hemp and other natural fibers being mixed in with the cotton based fibers to create a more organic and durable option for those individuals seeking sustainable clothing options and a switch from the synthetic and less durable clothing options found in stores.